The former Soviet Union has a complicated history that is told in part through some of its deserted infrastructure. From mining towns to oil-rig cities, many of these structures, towns and areas were abandoned suddenly and thus provide a kind of snapshot of Soviet life frozen in time. Others tell stories of economic and political upheaval and even nuclear events. From oil rig cities and deserted industrial towns to dazzling island fortresses and once-luxurious estates of the Soviet elite here are seven more amazing Soviet abandonments. 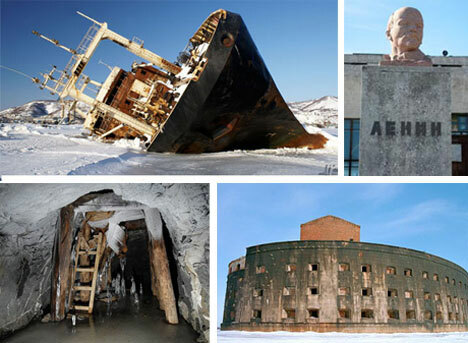 For more Soviet abandonments (from gruesome gulags to submarine bases) check out part one of this series. Abandoned Island Fortress: Fort Alexander sits abandoned on a man-made island off the shore of St. Petersburg. 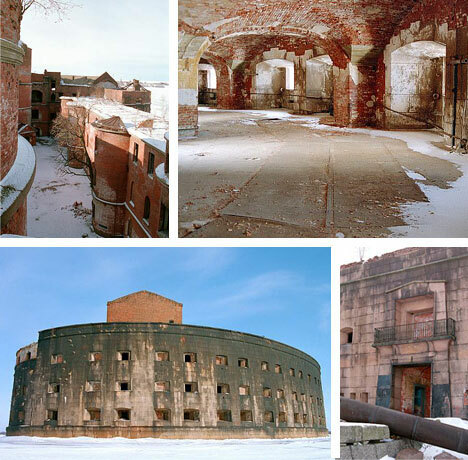 Constructed in the 1800s, the fort has over 100 cannon ports providing 360-degree defense. After the Crimean War it was initially used as a military storehouse before being converted by the Soviets into a dangerous plague research center due to its physical isolation from the mainland. The fort is now deserted and most of its interior objects have been stripped and metal has been melted down for other uses. Even now, however, visitors coming by boat (or snowmobile) are advised to wear a respirator and rubber boots. 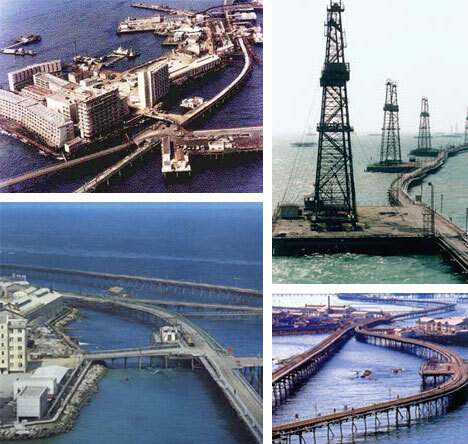 Abandoned Sea City: In 1949 the world changed forever as oil was struck for the first time in the sea off the coast of Azerbaijan. Before long the first oil platform was built around this site but that wasn’t all: dorms, schools, stores and other structures were all built up around this rig forming a virtual city on the water. Ships were brought out and sunk to form the basis of a series of man-made islands. Connected by a network of bridges and other structures this community has dwindled and is now all but deserted with buildings falling back into the sea. 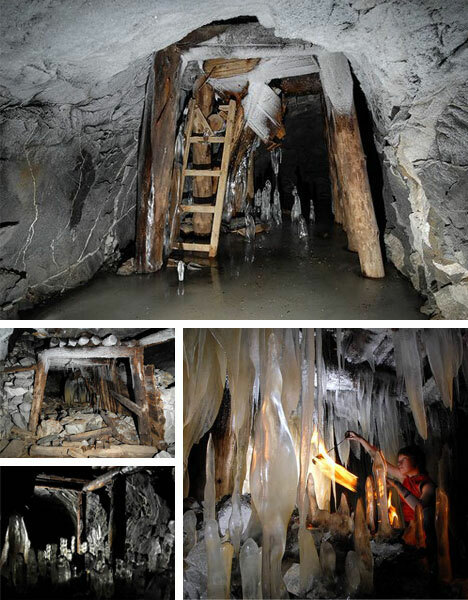 Abandoned Mine Complex: Unlike other Soviet mines in the Kyshtym region the ones in the photographs above at least aren’t radioactive. 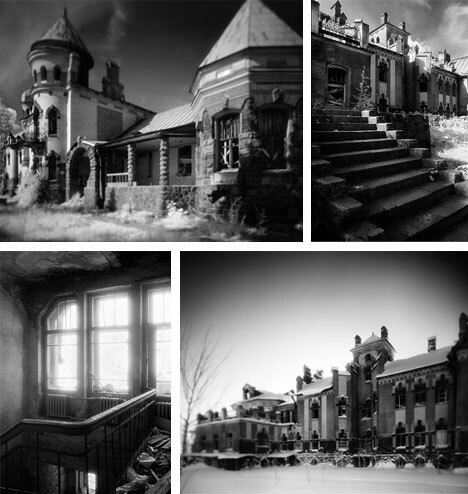 The ones shown here date back to the days of the Gulags and have been abandoned since the 1960s. A cooling tank explosion around that time contaminated almost 20 square miles around this and other local mines and caused the evacuation of nearly 300,000 residents. This incident was long hidden by the Soviet government before a scientist leaked the information in 1980. Other intrepid urban explorers, however, have braved even the nearby radioactive mines at their own risk. 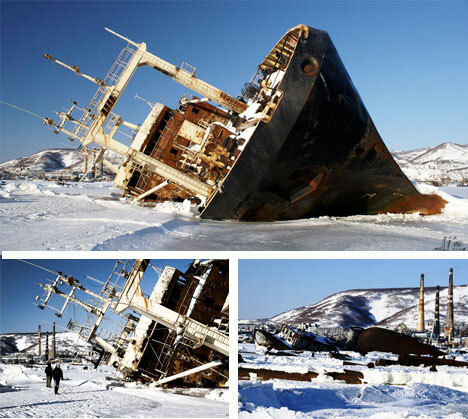 Abandoned Industrial Town: Pyramiden is a classic model Soviet small blue-collar coal-mining town with a long history that was quickly and suddenly snuffed out. 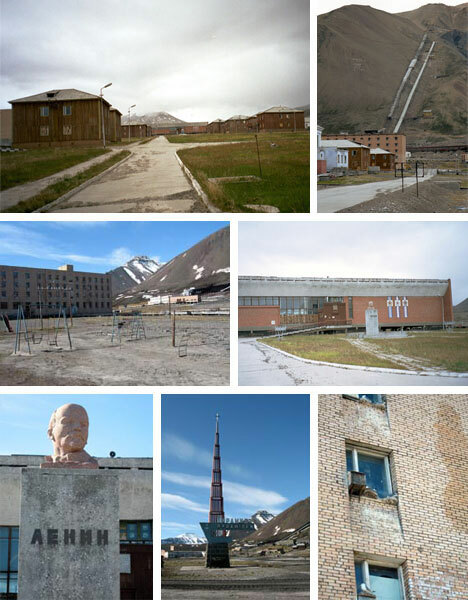 In the early 1990s it was concluded that Pyramiden was no longer profitable and its citizens were given a few short hours to pack and leave. Much like Chernobyl the result has been sad but fascinating: virtually everything was left behind from house plants to books on library shelves. Though there are plans to potentially renovate this ghost town for now it provides a picture of local life two decades ago. Abandoned Soviet Estate: There are many abandoned estates scattered throughout Russia that are simply too remote to warrant restoration. As photographer Jason Grant points out, though, these are provide in many ways a more real experience of history for those who visit and photograph them. This particular estate in Belogorka survived the revolution and was only moderately damaged by a bomb in WWII. It was subsequently used as a scientific research institute and is now strewn with bottles and chemicals from these last tenants. 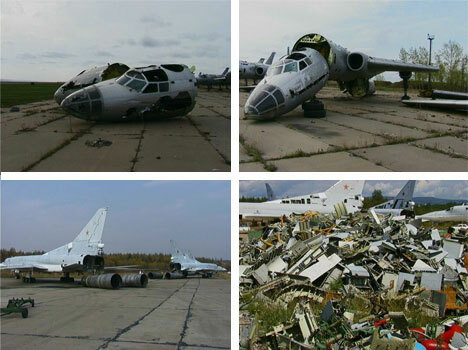 Abandoned Transportation: Throughout Russia and the former Soviet Union one can find a vast number of abandoned air, sea and land vehicles that have simply been left to rust rather than repurposed or recycled. In other parts of the world one would imagine they could find other uses for giant ships, disused fighter jets and entire train networks but here these things seem to fall through the cracks. Figures next to the planes and boats shown above bring home the enormous scale of these abandoned relics of Soviet transportation. 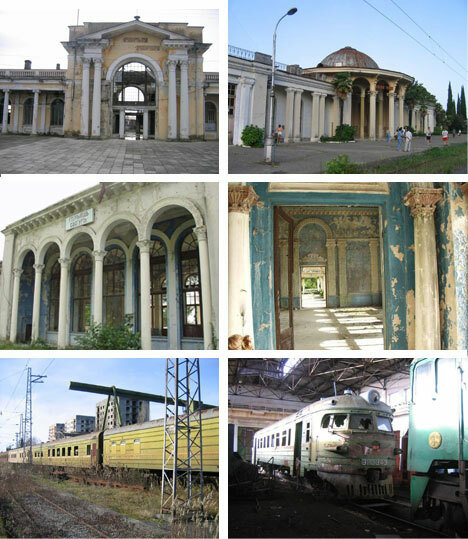 Other Abandoned Areas: The region known as Abkhazia is a semi-independent zone within Georgia in which a great deal of transportation and other infrastructure has been deserted in recent decades due to a lack of funds. Shortly before the collapse of the Soviet Union the region came into conflict with the rest of Georgia as Georgians pushed toward independence from Russia. Today, Russia issues passports for Abkhazians, pays their retirement pensions and provides citizenship to many of the people. Nonetheless, since the fall of the USSR the local budgets have not been enough to maintain many buildings and train networks as illustrated by the images above.